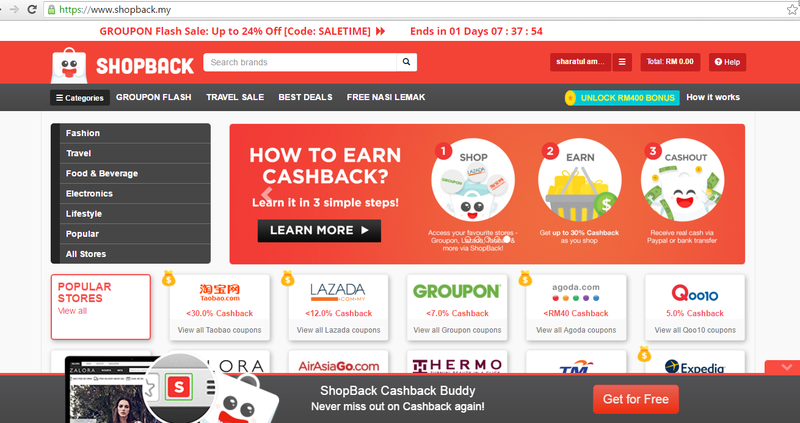 Earn More Cash When You Shop at Lazada Malaysia via ShopBack! 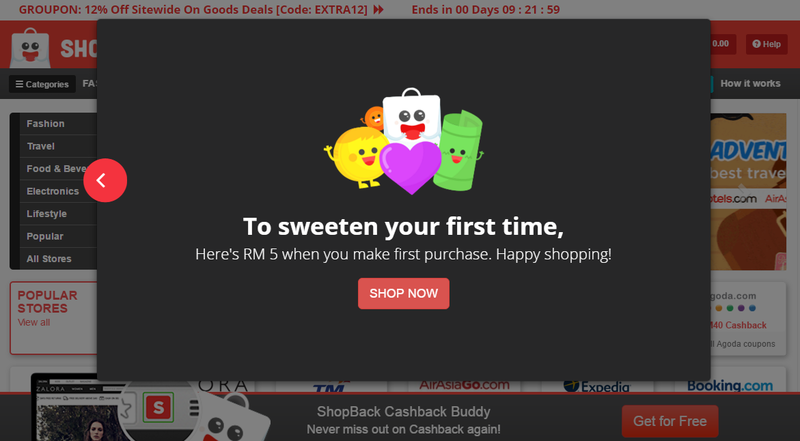 So let me introduce to you ShopBack, the famous website that currently in Malaysia that will help all the shopaholics like you feels good when shopping... OMG! Did you get any clue from the video? 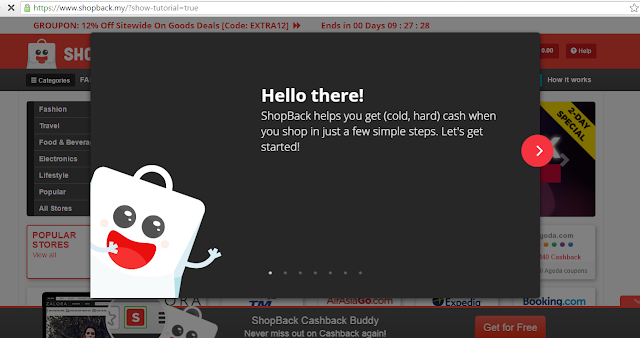 So basically ShopBack is a website that pays you to shop with their partnered merchants and there is more than 500 of them. 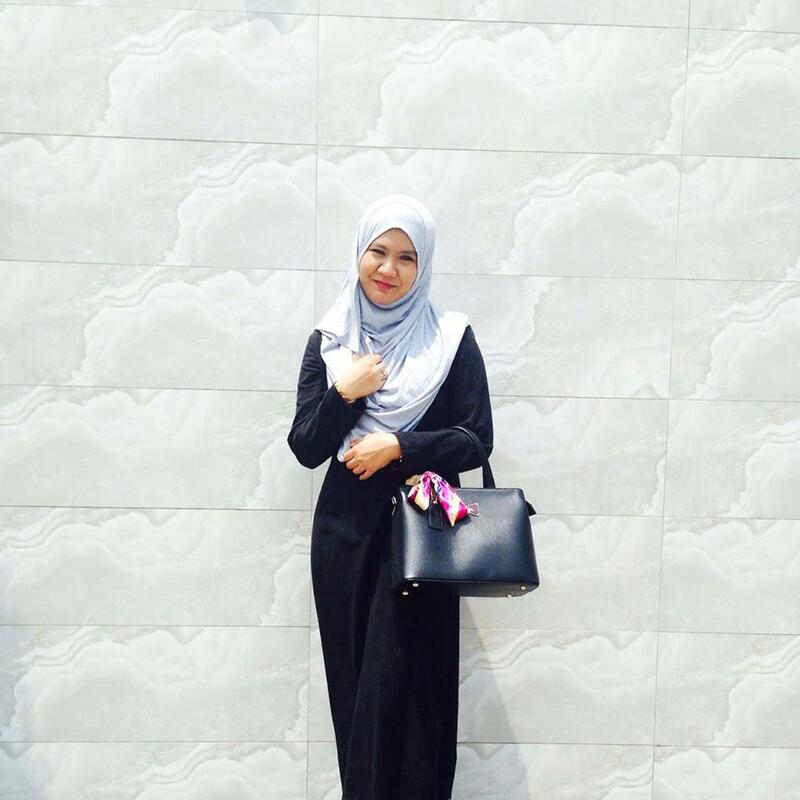 If you frequent online fashion stores like Fashionvalet, Zalora, Lazada and Poplook; enjoy travel deals as well where you can buy travel tickets or booked accommodation on Rail Europe, Expedia and Agoda; or even grab a coupon or two from Groupon, getting some of that money back will save you some serious cash over time and lessen your spending. Or even Tesco online included in this cool cash site. Basically "ShopBack MY has the best online promotions and cashback" ! Firstly of course you have to sign up! Once you click on the blue “OK” button, you’ll get directed to the following pop-ups. 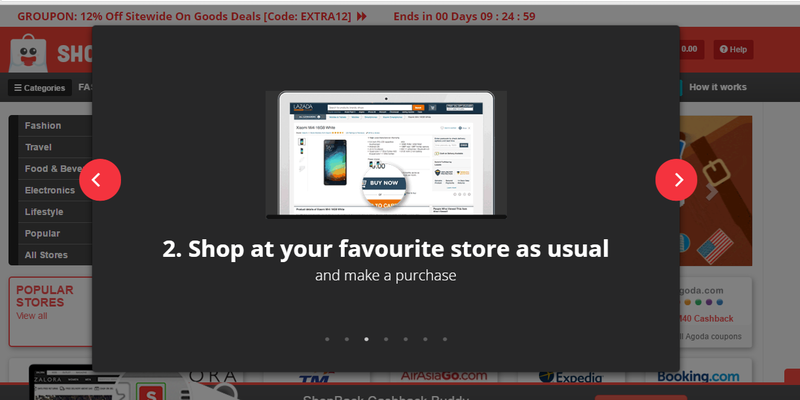 These are a set of instructions on how you should set your browser so that cookies are enabled and your shopping purchases can be tracked by Shopback. This step is necessary for getting your money back when you spend online via Shopback. 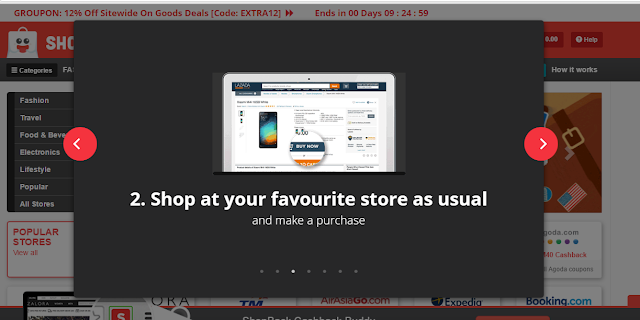 So, after a short tutorial given, once you click SHOP NOW you will be heading to your home screen. Scrolling down the frame, you’ll see some of the more popular stores online and some categories to help you start your shopping. 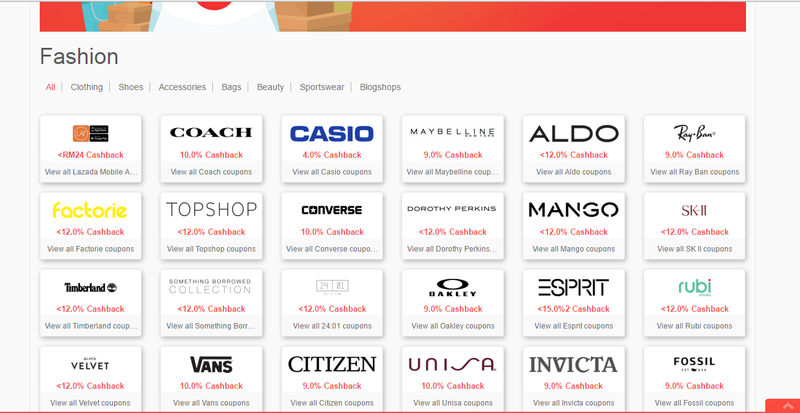 There is so many brand you can find in this Shopback website.. Does it so tempting? 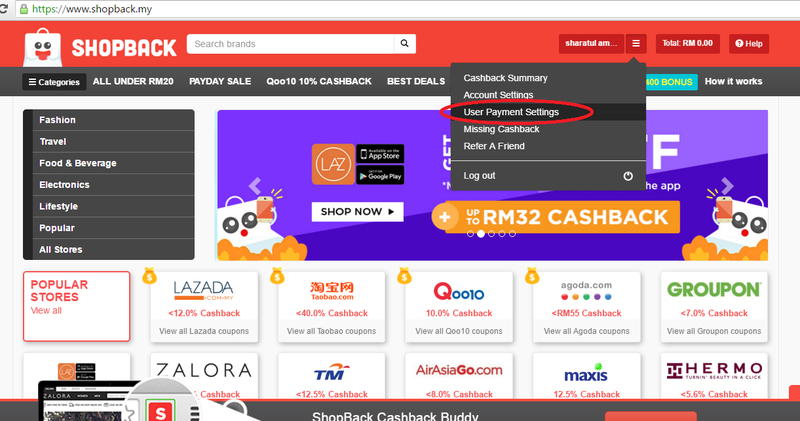 When you choose Lazada.com.my it will note you with all the cashback information you'll need to know and have to alert such as if you fashion items at Lazada.com.my you'll get 12.0% cashback! Then, click shop now! 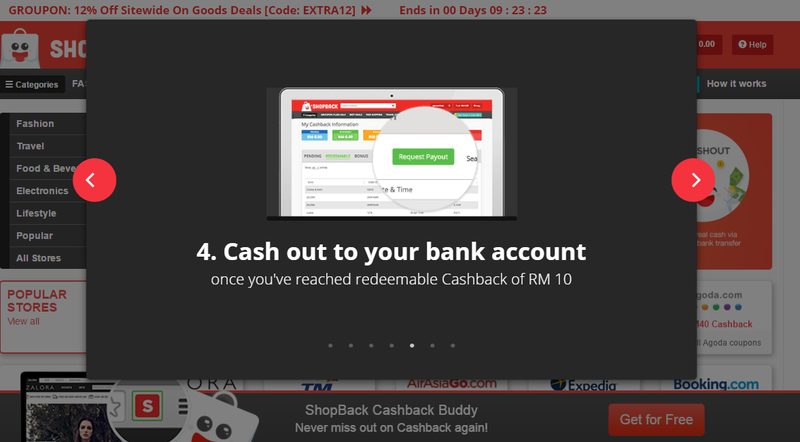 12% cashback i actually big right? You’ll be re-directed to the online store itself and you can then shop, place your order and make your purchase as per usual. Once you have made a payment, Shopback tracks how much you have paid for your items and you’ll get a percentage of it back. Depending on the merchant, this amount will vary. To get to this page, click on “User Payment Setting” beside your name at home screen. 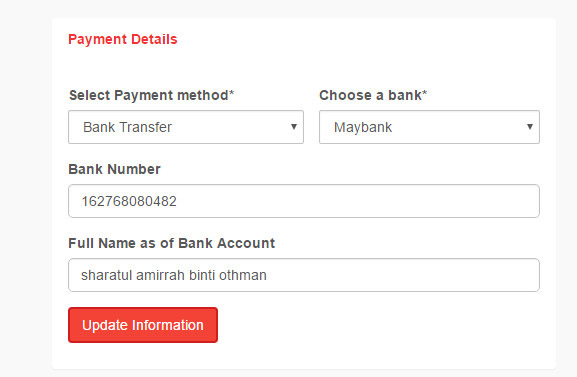 Once you’ve filled in your bank details, click on the red “Update Information” button and you’re set! Just sit back and wait for the cash back to be confirmed and categorized under “Redeemable” instead of “Pending.” Then, you can request for cash out and watch the magic happen in your personal bank account. Kaching! So that the simple step-by-step to earn your money from Cashback.my ! 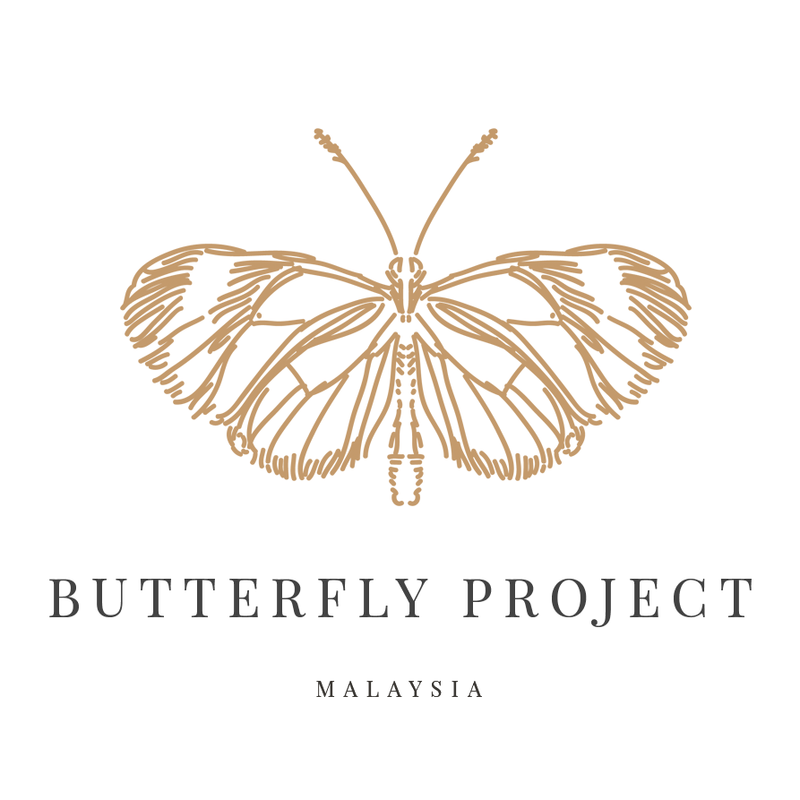 A simple and yet really benefit you when you spend your money. 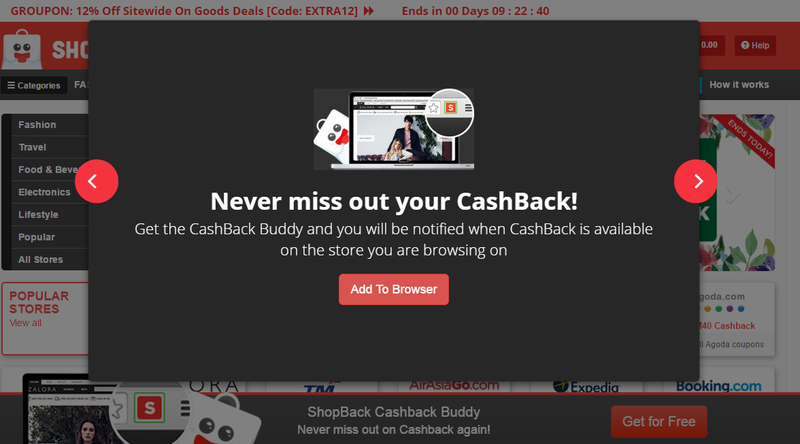 If the cashback does not appear in your account after a few days, just contact their customer service along with the vouchers you have purchased. So hurry up and Sign Up Here! hihi sha terkezutt kee ?